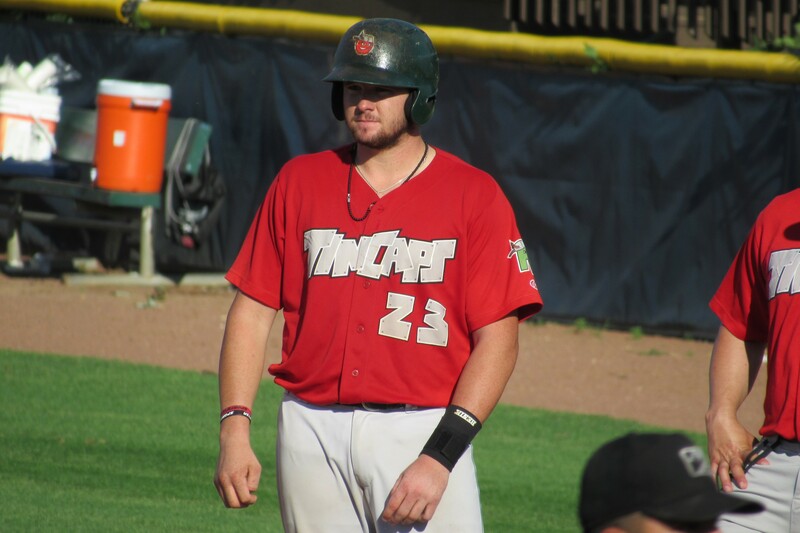 TinCaps catcher Austin Allen went 4-for-7 with two RBI — including the game-winner — in Fort Wayne’s 4-3 win over the South Bend Cubs in 15 innings Friday at Four Winds Field. This is the longest hitting streak by a TinCaps player, and three games shy of the Fort Wayne franchise record of 23 consecutive games set by Wizards third baseman Sean Burroughs in 1999. Fort Wayne’s nickname was the Wizards when the team began play in 1993, and was changed to the TinCaps after the 2008 season. This entry was posted in Carolina League, Fort Wayne TinCaps, Lake County Captains, Lansing Lugnuts, Lynchburg Hillcats, Midwest League, South Bend Silver Hawks. Bookmark the permalink.